Thank you for being such faithful people. I truly love you and know the Father we serve is pleased with your ministry. The Lord has used you many times to reveal Himself to me. You really helped us along our journey. While living in England I phoned your ministry there for prayer. 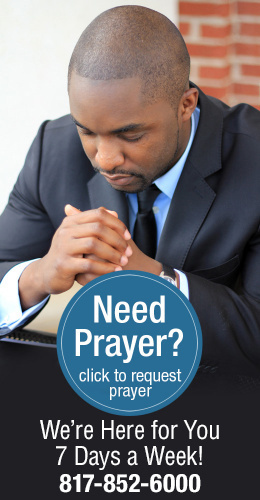 I had asked for prayer for my husband who had a rash on his leg from which a biopsy was taken. Praise God, for He is faithful. The result came back all-clear. Some years ago, I was totally not interested in your TV program. Whenever I would be watching TBN and your program would come on, I would switch to another channel. I’m writing this praise report to thank you all so much for interceding for my dear sister who was diagnosed with a brain tumor last year. She was told it could be malignant. I write to express my heartfelt gratitude to you for the time taken and the prayers prayed with me and for my family. We truly serve an awesome God. My family and I are more than grateful to you for all your sincere prayers for us. Thank you for your letter of love and encouragement. It was a blessing to me to know that you are praying for us as a family and also for Ireland. My brother prayed the prayer of salvation last December—praise God! Thank you for the BVOV magazine and the salvation prayer in each issue.